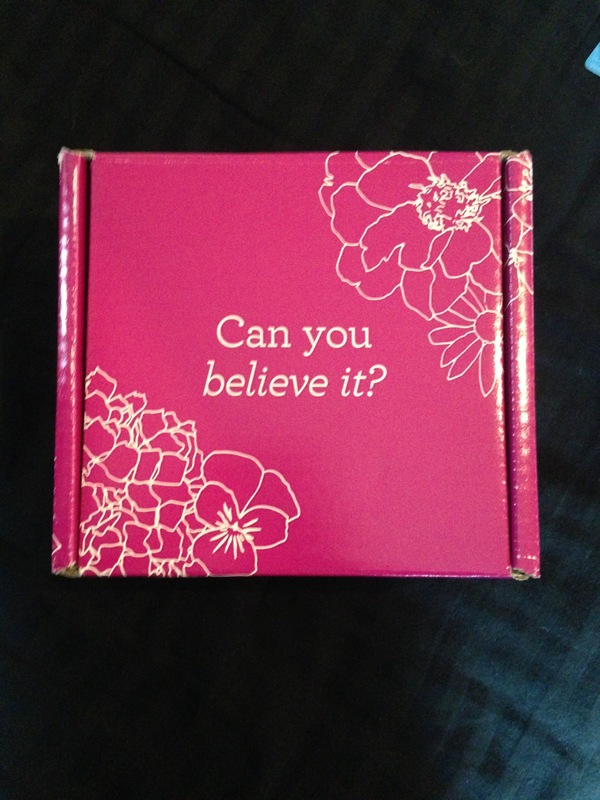 It’s not yet August but it will be tomorrow and my julep maven box has already arrived! Last friday to be exact! I love their speedy service! 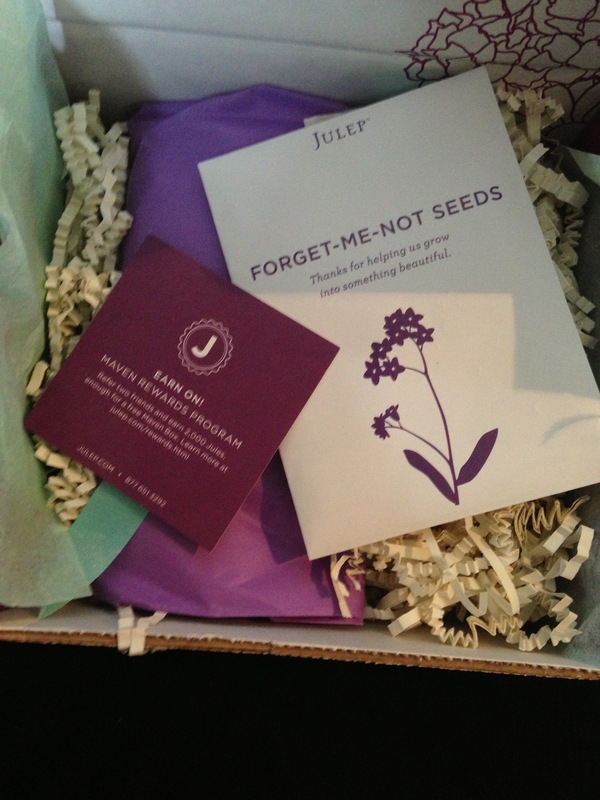 This months box theme is celebrating julep mavens second year as a monthly subscription! Yay! Happy two year anniversary! As always super cute packaging below are some photos of how the box was packed this month.. I thought it was super cute that they included “forget me not seeds” and the message was “thank you for growing with us!” I tell you the marketing ideas with this company are absolutely awesome! 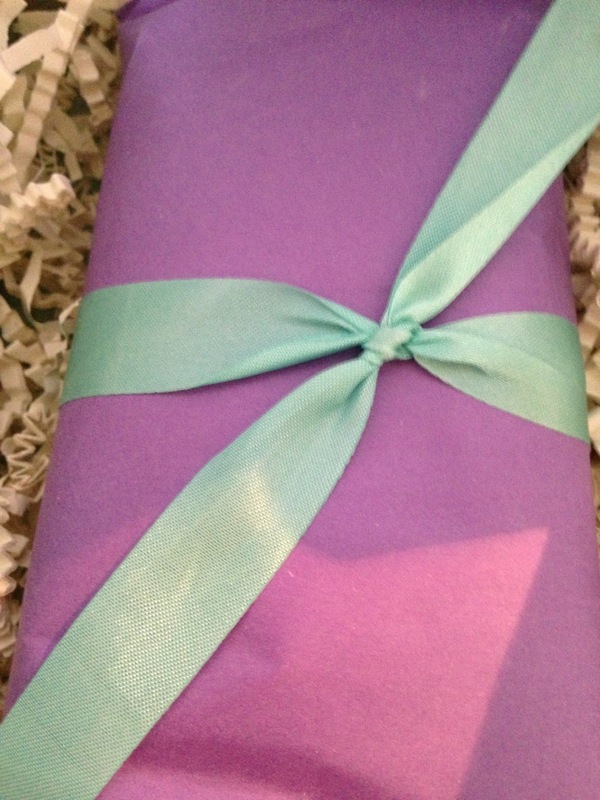 Lastly here are the colors I received this month in my “it girl” package . Nellie which is the deep pink/ magenta color. Fiore which seems to be a deep gray with a purple undertone and also Marjorie an orange with a slight shimmer! As always I am extremely impressed with my box! Only $19.99 per month with approximately a $45 value per box! It’s definitely a box worth subscribing too. Interested click the link below let them know I sent you! 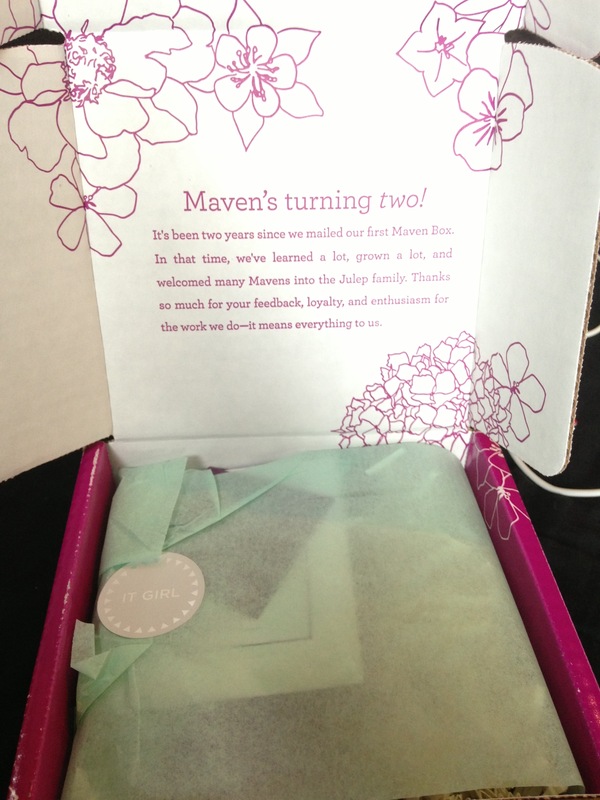 The Maven boxes are my favorite way to begin the month! I debated getting this collection. I chose Classic with a Twist instead. But I still really, REALLY like the colors you got!